While there are many things we do not know about the end times we live in there is also plenty that we ought to be aware of. 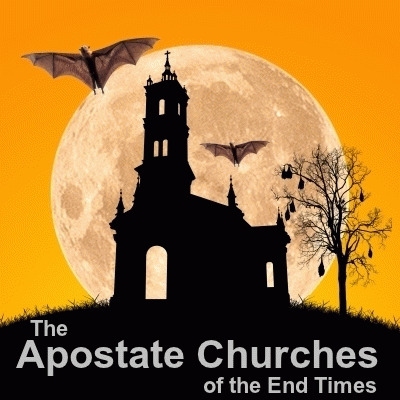 The Bible is replete with warning after warning against the wolves that would be attacking the body of Christ with false doctrines, doctrines of demons, and damnable heresies. The warnings are that these heresies would become as commonplace as they are today. That what should be easily discernable as false is widely embraced as possible if not true. Just look this week when false preacher Jesse Duplantis asked for 54 million dollars to buy a new private jet. Now I expect nothing less from a snake oil salesman then to pretend God told him to believe for such nonsense. The problem I have is with how many well intended but poorly taught Christians just accepted this tripe. The cries of "well if God told him that"" rang out throughout the church. Listen very carefully. God did not tell him any such thing. We have written extensively before about the growing purpose driven industrial complex. Church has been transformed into a carnal global enterprise. Untold riches have been and continue to be generated on the backs of abject poverty. Those that are at the feeding trough defend the brand at all cost. The first rule of any good scheme is to protect the scheme. One of the greatest tools the apostate church wields is a call for unity. The general principle states how can the church possibly spread the Gospel if it cannot agree. While that sounds lofty or even pious one must realize that an apostate church only calls for unity with apostasy. This is why Rick Warren and many evangelical leaders have cozied up with Rome even though they know they do not share the same beliefs. Unity with apostasy only ensures the one world church that the Bible warns us against. The broad path grows and the narrow way becomes harder to find. We are coming to the point where true Christians of faith will have to come out from among the harlot that plays the church today. Let us however take a closer look at unity today. There are four indispensable roles in God's church - and you do not need a SHAPE application to determine them! 1. Prophets confirm the word of God to the body of Christ. 2. Evangelists spread the Gospel to increase the body of Christ through those that God alone gives the increase to. 3. Shepherds take care of the flock. They have a shepherd's crook in one hand to guide the sheep and make sure they do not wander off and a shepherd's rod in the other to fend off the attacking wolves. 4. Lastly, the teachers expound upon the word of God to grow the saints.